Ahhh… refreshing cool water on a hot summer day. Nothing feels as good as going for a swim to cool off or just to relax by water. Now, imagine having this luxury in the privacy of your own back yard! Adding a swimming pool, whether above ground, on-ground or in-ground, brings years of enjoyment, relaxation, and has many therapeutical benefits. With options like various pool shapes, sizes, water features and colourful tiles, a swimming pool adds visual interest to your backyard paradise. 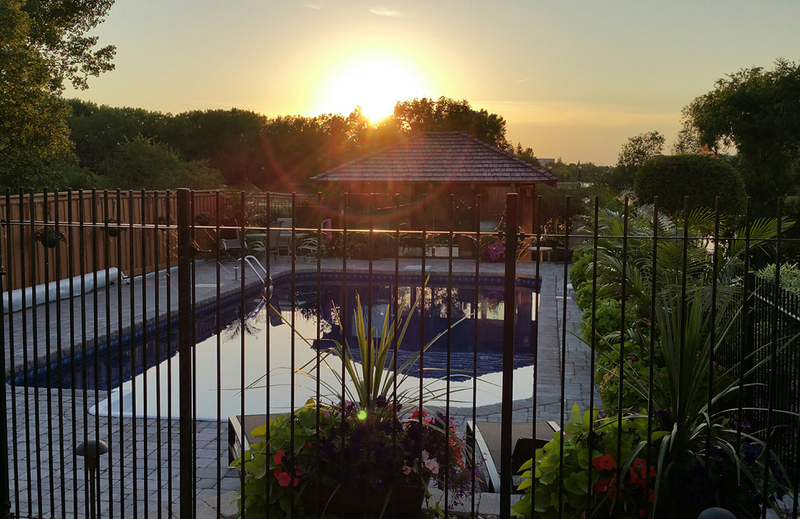 Explore our site and discover the possibilities—and when you’re ready, give us a call and let’s make your backyard paradise a reality. Adding a pool is also a big investment. 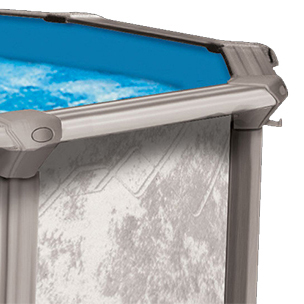 If you're ready to make your dream a reality, rely on the pros who have been doing this for years—Crown Spas & Pools. 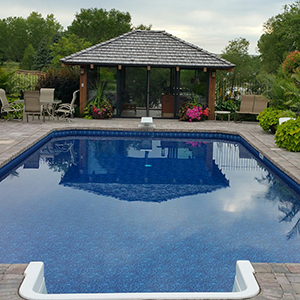 Crown Spas & Pools has swimming pool installers and professionals that have over 100 years combined experience. 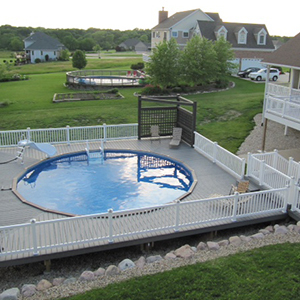 We have been in business for almost 30 years and have one of the best reputations in the pool industry. Call us or stop by our showroom at 760 Century Street in Winnipeg. We will give you expert advice, answer all your questions and help you take that next step.